Seoul Gwanghwamun Square is the center of historical events since the foundation of the nation. Myriads of colorful, dark, historical, critical, and mundane events occurred in this fast-changing site in South Korea’s capital city. Recently, you can see Seoul Square’s face adorned with statues, garden, paved (granite and marble stones) pathways, fountains, and some booths by civil society movements seeking actions from various institutions or individuals. This page is not meant for an exhaustive description of the site but only provides brief but useful insights. Moreover, you can use this page as your gateway guide for your further exploration of the area. 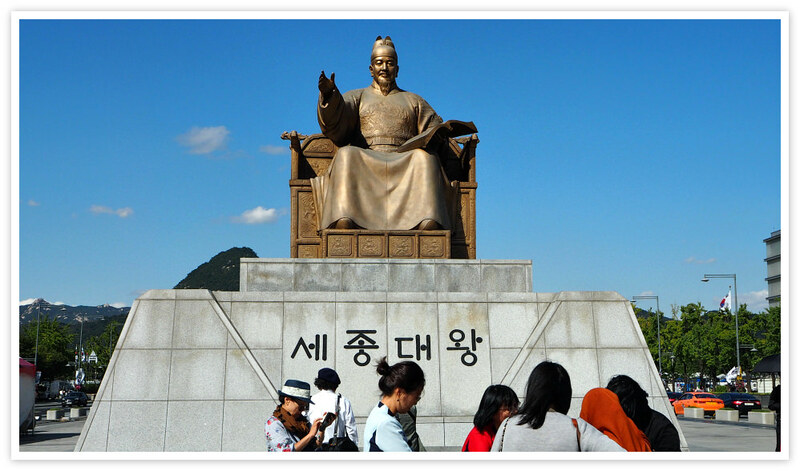 As this is not only the most visited area but the center of Seoul, you will find this guide quite helpful. The square is accessible from various points. You can get here through subway (Line 5), bus (all buses), taxi or private car. 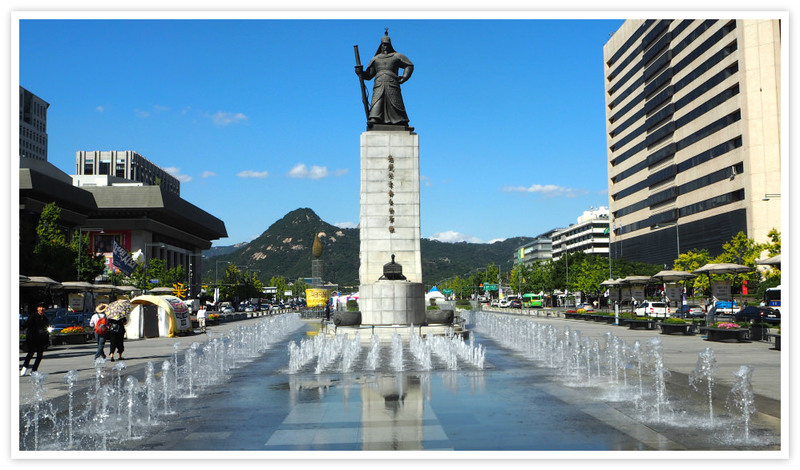 Seoul Square is located right across the main gate of Gyeongbokgung Palace. 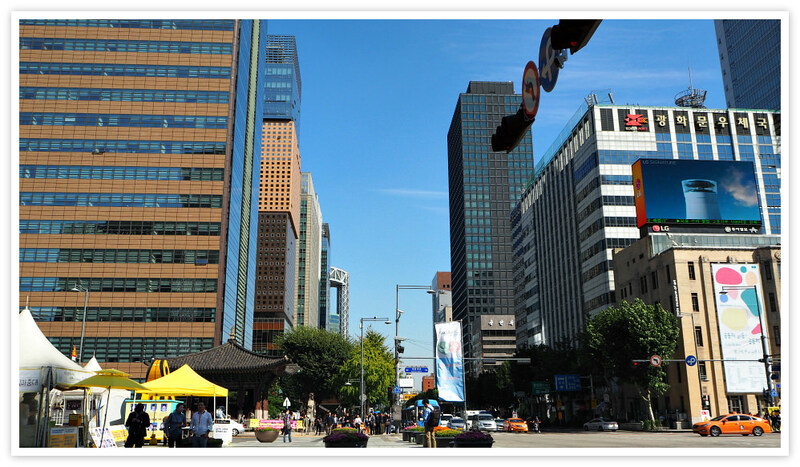 This occupies the country’s main avenue during that period which extended southward from Gwanghwamun Gate. At times, this road served as a “channel of public opinion.” When the Korean Empire was proclaimed in 1897, Deoksugung Palace located nearby was turned into the main royal palace. This action lost Sejong-no Avenue as the country’s main avenue. This was later restored in 1926 when the Japanese building was built beside the Gwanghwamun Gate. However, the space was only used for any assembly when allowed by the Japanese authorities until the nation became independent. During the dictatorship periods, Seoul Square were used as the space for demonstrations, rallies, pickets, and all sorts of protests and demands for freedom in various facets. Some of such activities can still be seen but more subdued, quiet, and organized. It is here where the famous Candlelight Action was held when the people demanded the president to step down. This action led to the impeachment of the head of state and was sent to prison. Aside from citizen’s activisms, other forms of entertainment and social events are being held here including concerts, weekend shows, holiday events, among others. 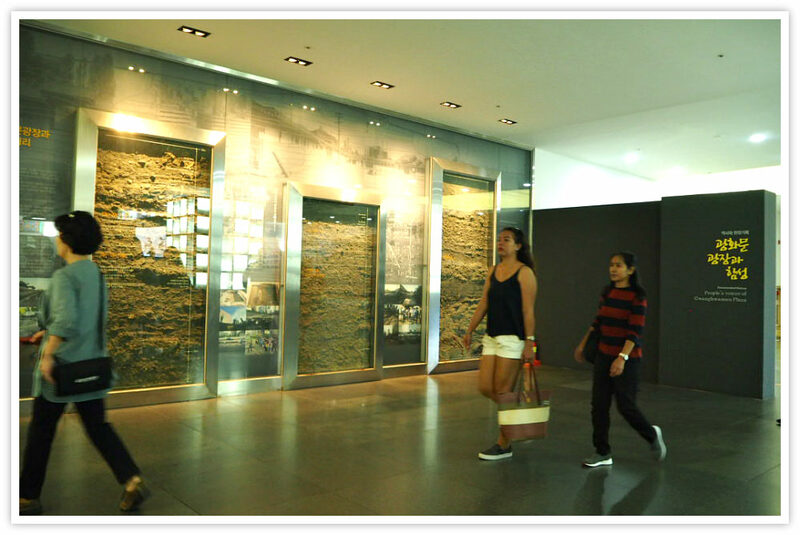 During the excavation conducted on this ground, they dug up the ‘street of the six ministries of the Joseon Dynasty. 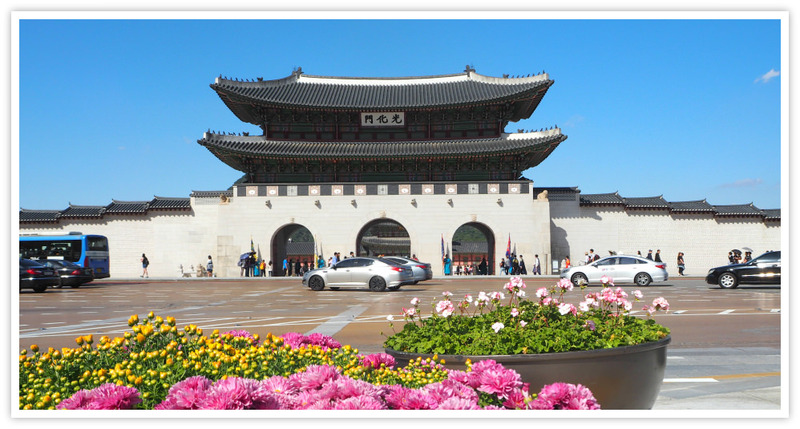 This street was established in 1395, the year when Gyeongbok Palace was completed. This street begins at Gwanghwamun Gate stretching up to the present Gwanghwamun crossroads. This crossroad is not the Sejongno, which was once the vast thoroughfare of the Joseon Dynasty. The excavation of the street began in 2008 and finished a year later. There is a large cross-section of the excavated layers which were carefully preserved for scientific study. the period of Gyeongbok Palace’s re-establishment (19-20th century). The artifacts, such as porcelain, roof tiles, earthenware, among others, were dug up and dated according to their respective periods. The excavation of the Street of the Six Ministries is proof of records which are available on old maps of Seoul and some documents. Some documents are found in the Annals of the Dynasty of Joseon. The re-discovery of the street provided evidence the full scale of the street structure, architectural building skills and methods used during each period. As you alight from the escalator or the steps, you can see a front desk. Yes, you may ask any information about the area or anything (probably) about travel. This is aligned to the washroom area which is just beside it. The washrooms for male and female visitors are available. They are quite spacious and well-maintained. It is equipped with sanitary facilities including soap, hot and cold water. You will find the displays of layers excavated in this very place mentioned above. The layers describe (mostly in the Korean language) some details for each period such as the early establishment of the Joseon Dynasty up to the re-establishment of Gyeongbok Palace in the 19-20th century. Potable water is available for all. Basically, you can dress yourself up in traditional Korean clothing and feel the local culture. This is free of charge. Then you can proceed with a photo-taking session with your friends or family members. You can have a great photo with the Gwanghwamun Gate in the background including the Gyeongbokgung Palace. You can do lots of things aside from exploring historical sites and interesting areas. You can do almost everything while in Gwanghwamun Square. That’s because it is at the heart of Seoul. Via subway, take Line 5 (Violet color) as this is its stop. You can get here from Kimpo International Airport. Most express buses, ordinary buses, and airport limousine buses ply around this area. In case you have questions, please email us.